"Ray Bradbury." Gale Contextual Encyclopedia of American Literature. Vol. 1. Detroit: Gale, 2009. 181-185. Gale Virtual Reference Library. Web. 17 Sept. 2010. 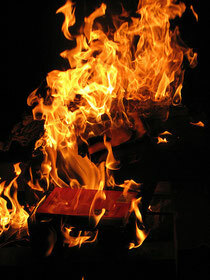 "Fahrenheit 451: The Temperature at Which Books Burn." Literature and Its Times. Vol. 5. Detroit: Gale, 1997. 95-100. CRSN. Web. 17 Sept. 2010. 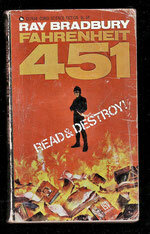 Brown, Joseph F. "'As the constitution says': distinguishing documents in Ray Bradbury's Fahrenheit 451." 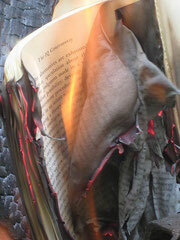 The Explicator 67.1 (2008): 55+. General OneFile. Web. 17 Sept. 2010. "Censorship Is a Serious Problem in China." China. Ed. Lauri Friedman. Detroit: Greenhaven Press, 2009. 66-73. Gale Virtual Reference Library. Web. 17 Sept. 2010. Hernández, Omar, and Erick Langer. "Censorship." Encyclopedia of Latin American History and Culture. Ed. Erick Langer and Jay Kinsbruner. 2nd ed. Vol. 2. Detroit: Charles Scribner's Sons, 2008. 235-237. Gale Virtual Reference Library. Web. 17 Sept. 2010.